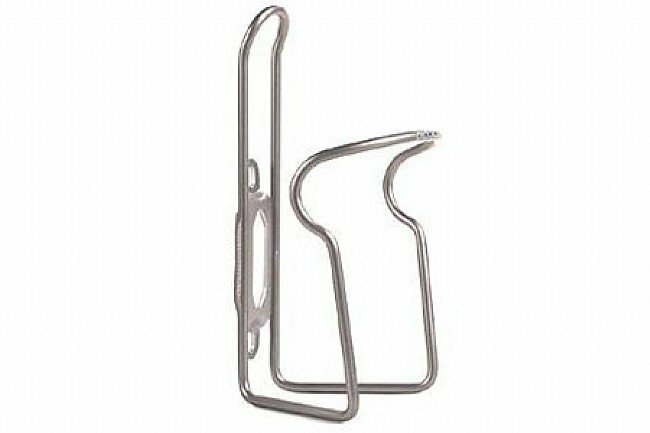 Stainless Bottle cage with whiplash curve to hold bottles tight. Won't rust. Minimizes bottle marking. 41 grams. Great looking, lightweight, non-marking bottle cage at a great price. I transplanted a previously purchased Blackburn Chicane cage from my MTB to my new gravel grinder bike due to both the lightweight and the aesthetics. With longer races calling for more on board hydration capacity, I added a 2nd Chicane from BikeTiresDirect. The price was unmatched. Delivery spot on time. Quality perfect. It will be put to good use on Sunday in the Darby Roubaix!